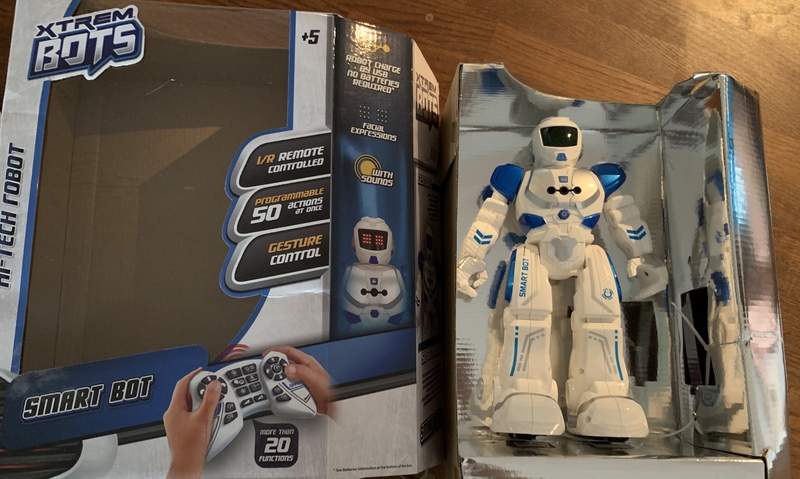 WE were very kindly sent an Xtrem Bot Smart bot for the boys to review. As always the reviews are our own and not influenced in anyway. 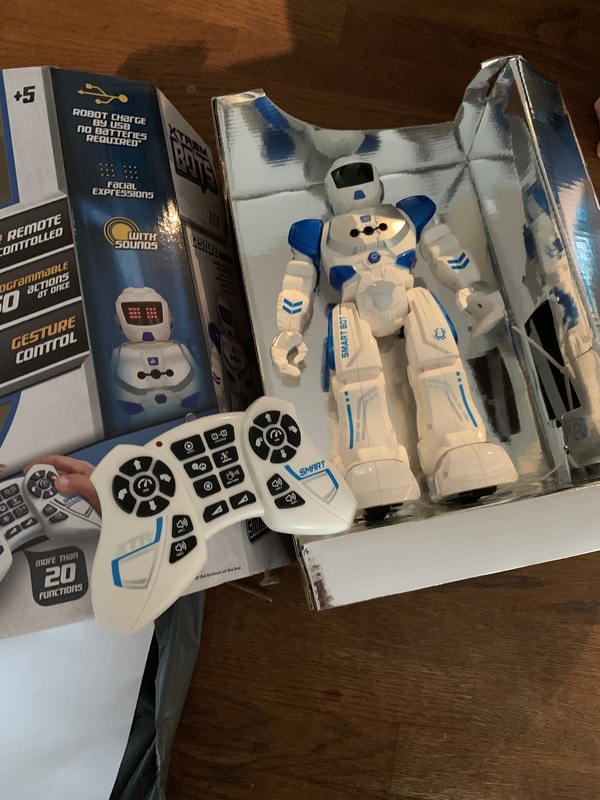 As soon as the boys opened this parcel from Wire Pr they were over the moon, Jack especially at 9 years old absolutely loves remote control toys and likes to work out everything they do. 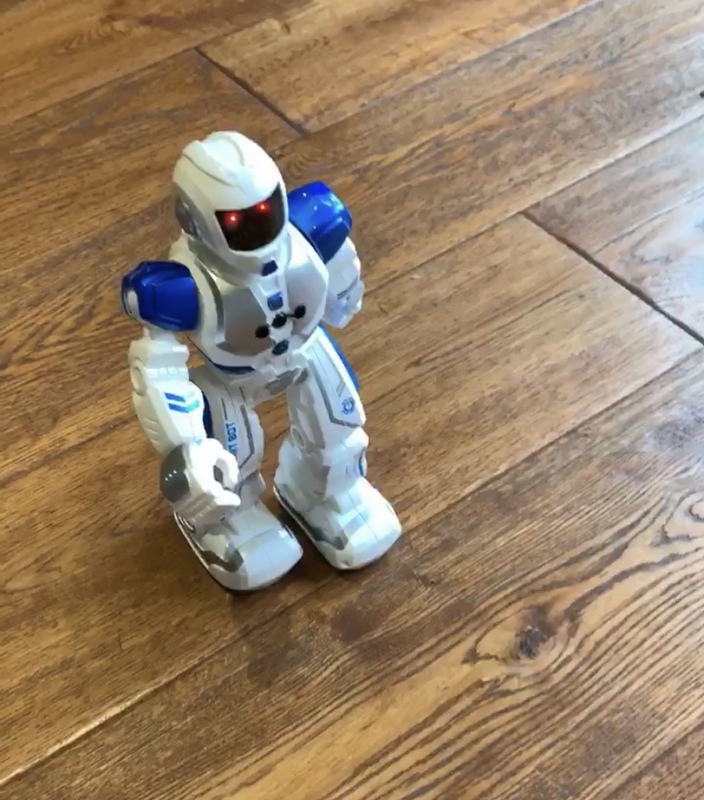 so the fact this one had over 20 functions and able to programme 50 actions at once was the perfect toy for him ! 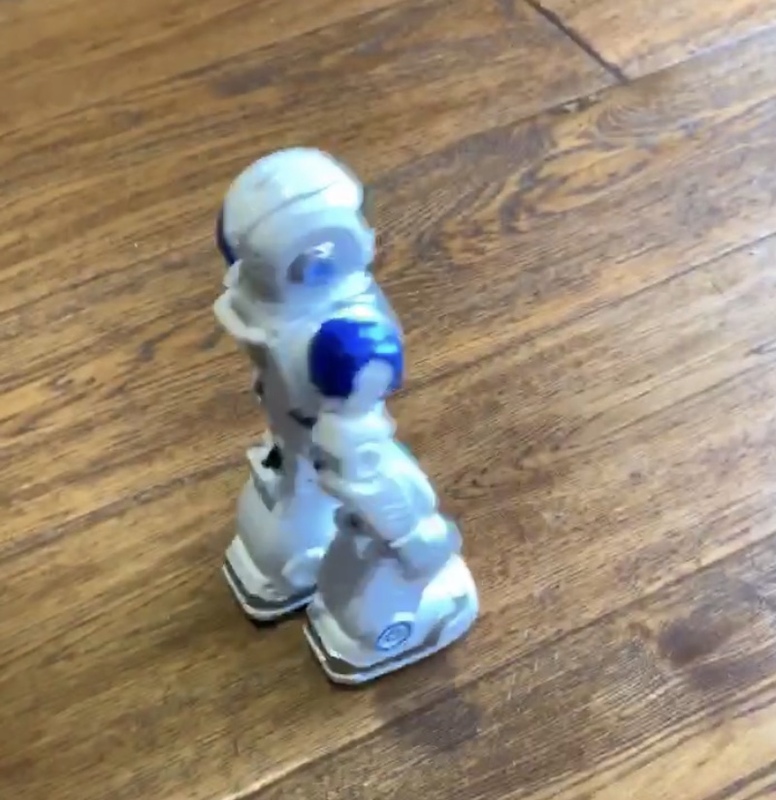 The robot is targeted at age 5 years and above and I think this is perfect as it was fairly simple enough for Bobby at 6 to be able to lay with on a basic scale chasing penny around the living room with it in her walker was his favourite ! I shared some videos over on my instagram of him doing this which everyone loved ! When it came to Jack playing with the robot he studied the instruction booklet and managed to try each of its functions the only thing they both said would improve the product was if it could talk and was voice activated, kids are a hard bunch to please aren’t they ! The robot itself comes with a USB charger so we charge ours of the main desktop computer but anything you have with a USB port works too. The remote pad requires 2 batteries. This was a huge plus point for me as a parent as so many of children’s toys nowadays require batteries and you can always guarantee on that rainy day when they want to play with everything the batteries have ran out !! Next Article Has the Whisbird helped us ?